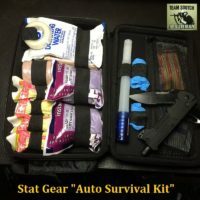 Sensible Prepper Presents: Stat Gear “Auto Survival Kit” review. An excellent companion while you’re on the road. Accidents happen everyday and being prepared is vital. MSRP $55.54 including the T3 Tactical Rescue Tool. Stat Gear Website: http://www.statgeartools.com/categories Thanks For Watching~ Sootch00 Music is from Jingle Punks Royalty Free Music through the Fullscreen Network. Used with permission. 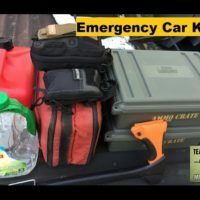 Sensible Prepper Presents: Emergency Vehicle kit for roadside problems. This is my updated kit. Please leave any ideas you may have in the comments. Skinny Medic Trauma Kit: http://shop.skinnymedic.com/ Maxpedition: http://www.maxpedition.com/ EDC 1st Aid Kit: http://www.amp-3.net/ Thanks For Watching~ Sootch00 Music is from Jingle Punks Royalty Free Music through the Fullscreen Network. Used with permission. 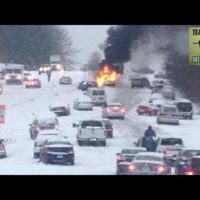 Sensible Prepper Presents: Extreme Winter Survival Vehicle Kit. We're putting together the items that can give you a fighting chance against Old Man Winter. Inspired by the Story of the family in NW Nevada who in 2014, was stranded in their vehicle for 48 hours in -21 degree temps and their story of survival. Tinder Torch review: https://www.youtube.com/watch?v=v7xrCYUYEFQ&t=2s Olight M1X Striker Flashlight: http://goinggear.com/olight-m1x-striker-1x-18650-2x-cr123a-1000-lumens-dual-switch-cree-xm-l2-led-flashlight.html Thanks For Watching~ Sootch00 Music is from Jingle Punks Royalty Free Music through the Fullscreen Network. Used with permission.